Tucson, AZ, WPH Press, 9/29/17- The WPH Outdoor 6 season concluded with the 2017 3WallBall Outdoor World Championships in Las Vegas, NV. 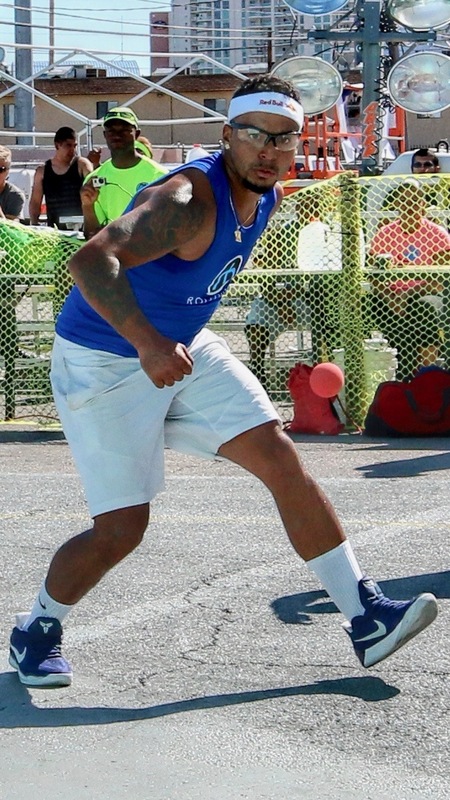 WPH Outdoor men’s and women’s pros battled for ranking points in California (IceMan, Fullerton), Las Vegas (Royal Flush, Vegas Lte, 3WallBall), Utah (Salt Lake City Aces), Pennsylvania (RFC) and Ohio (USHA 3-Wall Nationals). The men’s and women’s race for the top spot came down to the wire, as mere points separated the top-ranked stars from the pack. 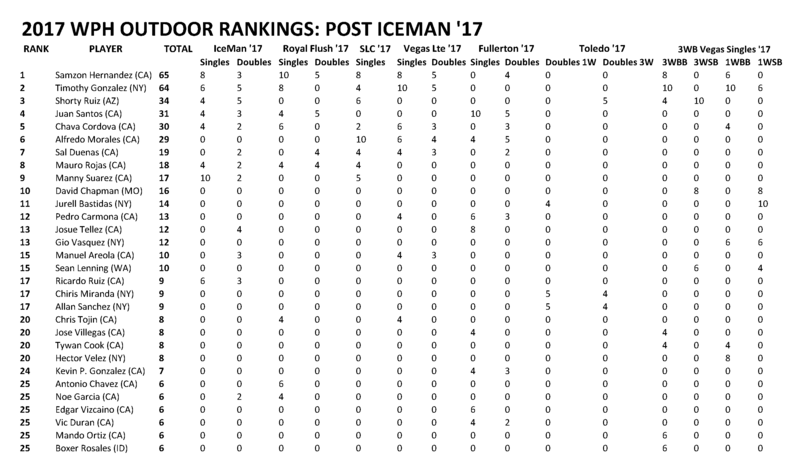 Tracy Davis won one singles title (RFC) and advanced to two finals on the Women’s WPH Outdoor 6 tour, edging 2017 X-Fest champion Sandy Ng by just two ranking points. At 40, Davis became the oldest WPH pro in history to finish a pro season ranked #1. Davis and Ng were joined in the Women’s WPH Outdoor “Fab 4” by 3WallBall Small Ball champion Martina McMahon and New York’s cross over star Danielle Daskalakis.